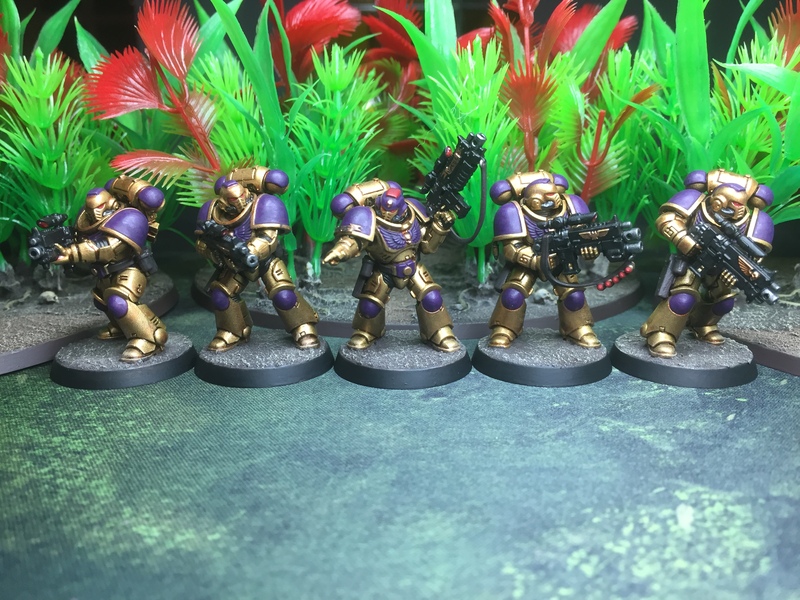 Primaris Marines (?!) and some ‘Nasty Bush’! 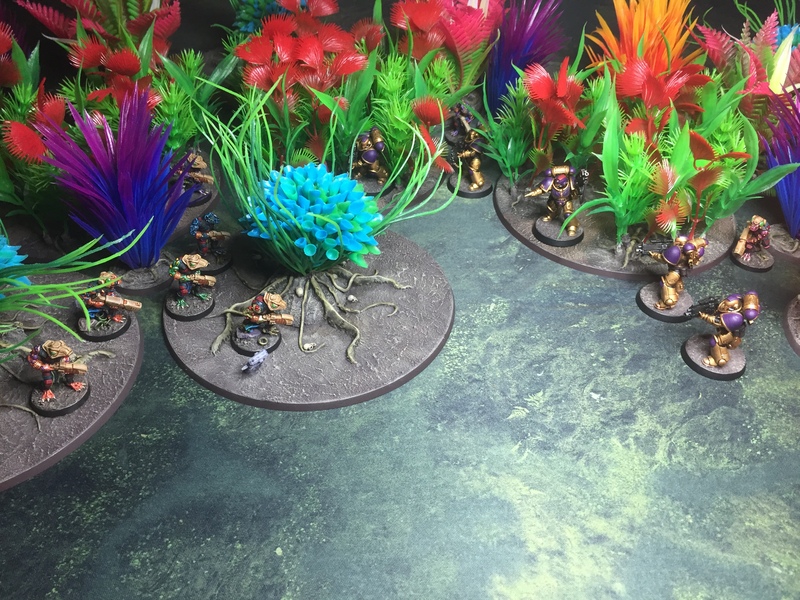 This is a continuation of my side project to create some psychedelic jungle terrain, and is meant to provide some really dense patches of bush (fnarr fnarr) with small paths wending their way through. Placing minis on said path is a bit of a bugger, but is absolutely doable. 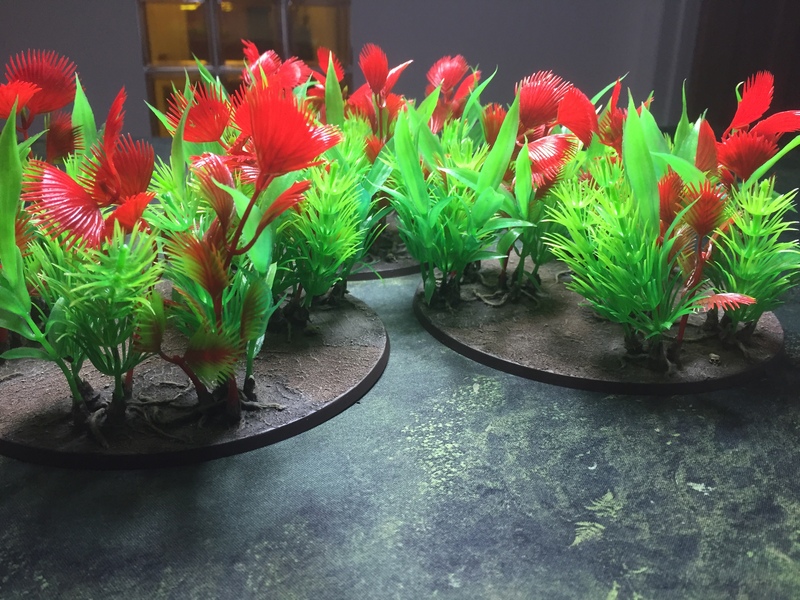 There will be plenty more to follow on this project, so expect to see the odd bit of jungle turning up over the coming months! That’s it for now folks, hope you enjoyed the post & catch you all soon! Great to see your kid doing some hobby. My son (7 years, 8 in april) wanted some new Marines for Christmas (I’ve given him all my old Loyalist Marines already, but you know, you can always fit a few more). I gave him the First Strike kit so he’d have some proper enemies too. The kit was Easy-To-Build so I just gave a clipper and told him to get cracking. 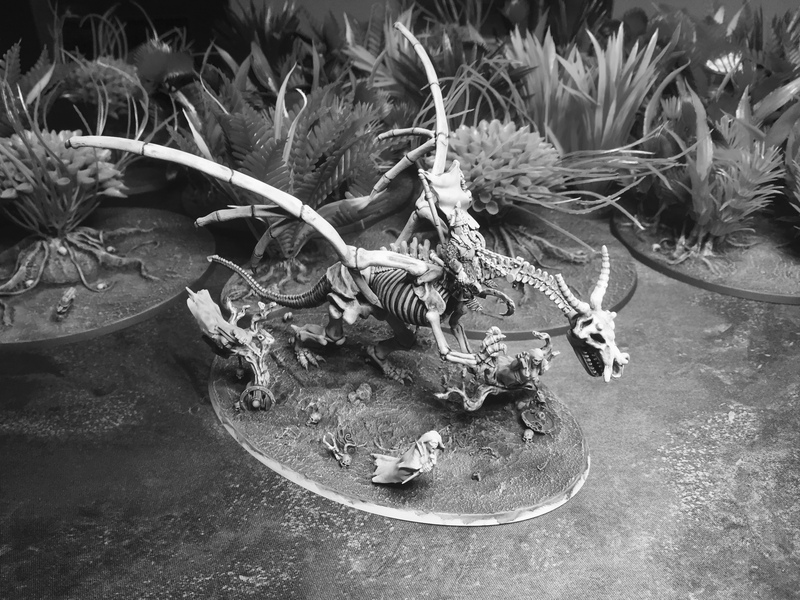 And he did, he built every model by himself, I Think I helped him out with maybe to of the 15 models in the set. Brilliant kit. Check it out. Now he needs to paint them, I spray them but he’ll have to do wash and highlight. Such be fun. That jungle looks absolutly brilliant. 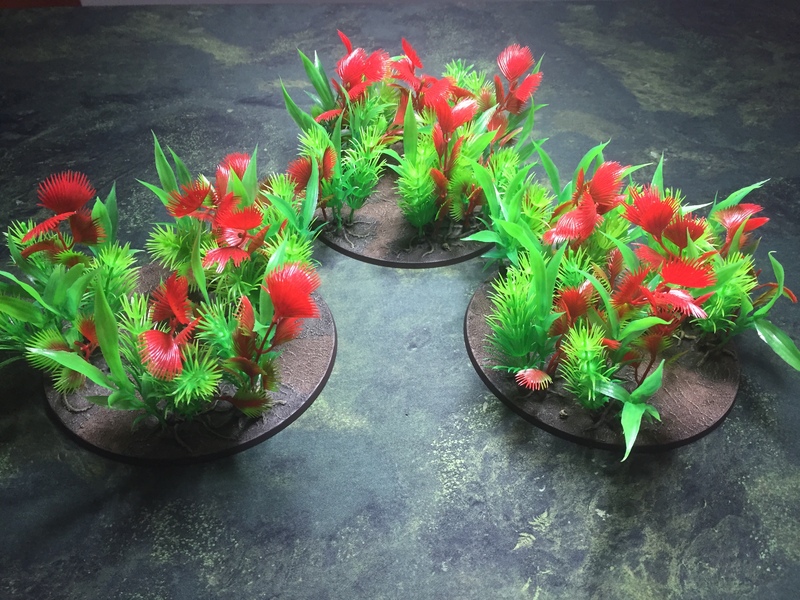 Glad you like the jungle mate, and oh man, you’re way better than me – I just couldn’t face the thought of mold lines and un-drilled barrels, so I did the build :-) I’ll certainly check out the easy-to-build stuff out though mate – good call! Mould lines wasn’t really a problem on the models. I can really recommend them. I’m so getting the big dread for his birthday. Should be cool. Came for the clickbait title, stayed for the good modelling, cried at the excellent parenting. Great work, your son’s paint-jobs look way better than my first ones did! Here’s to many more to come! The little man has done a great job! 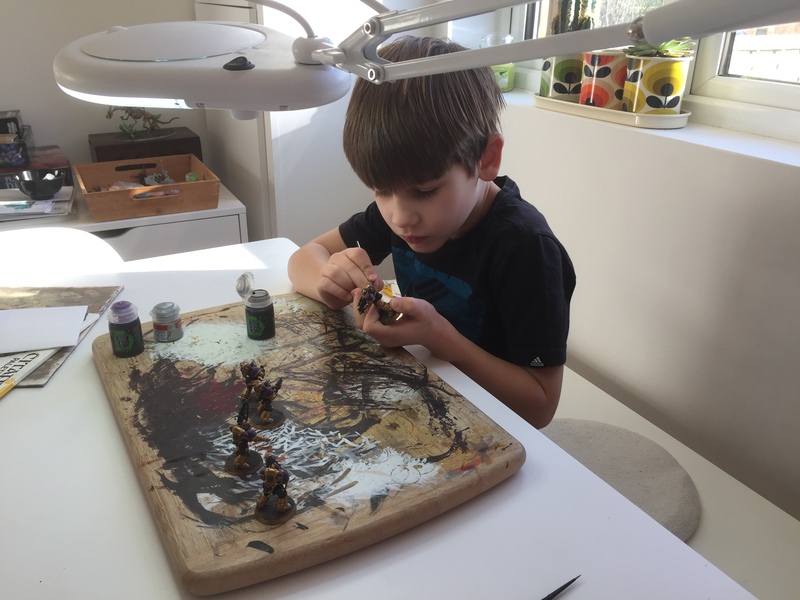 Must be a very cool feeling having your son getting into the hobby. The jungle looks cool and reminds me of some errmm weird times I had while camping as a twenty year old. I look forward to seeing your finished Decemb-uary offering. lol – cheers dude – sounds like my kind of camping trip! This is so cool at so many levels. Really lovely, looking forward to more family work! Great stuff! 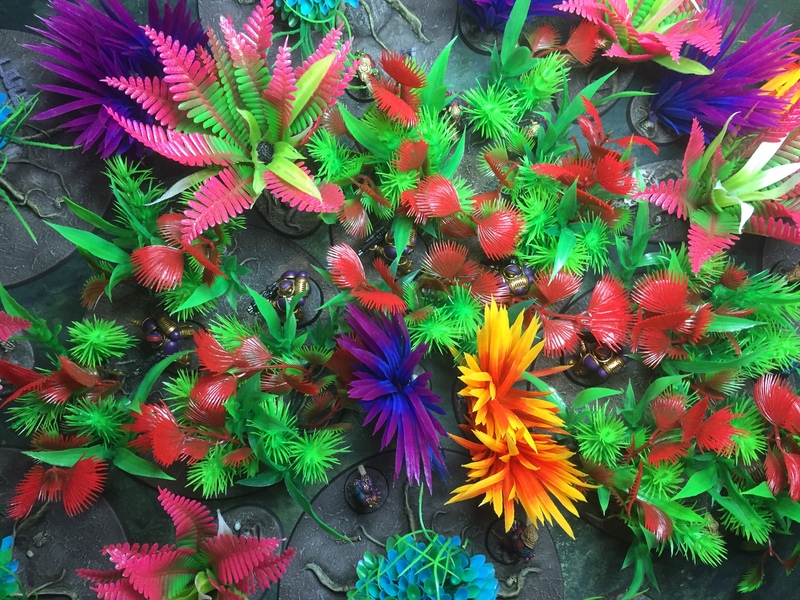 The jungle is coming along really nicely and is colourful enough for a group of equally-colourful space frogs to hail from. Painting with the lad looks a lot of fun. I need to get Marouda painting again, but it keeps falling in a hole. 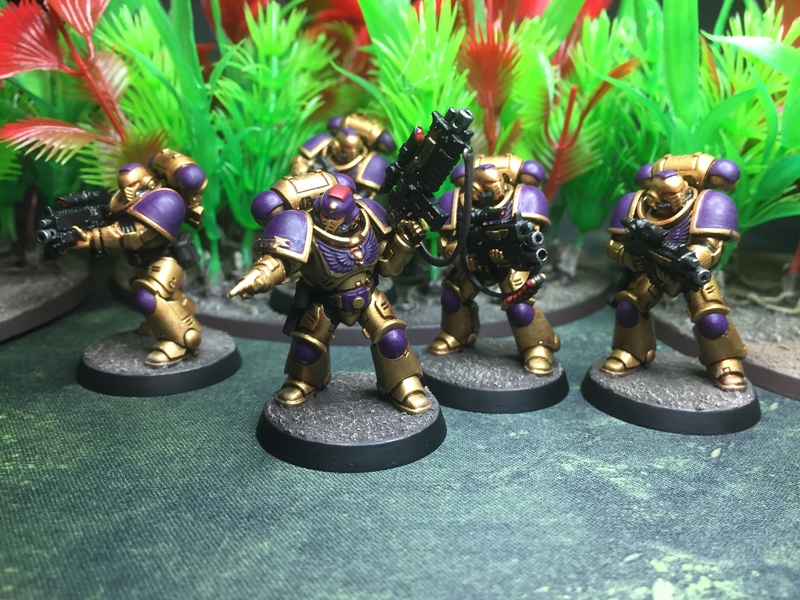 A very “Celestial Lions” scheme, I noticed as well. 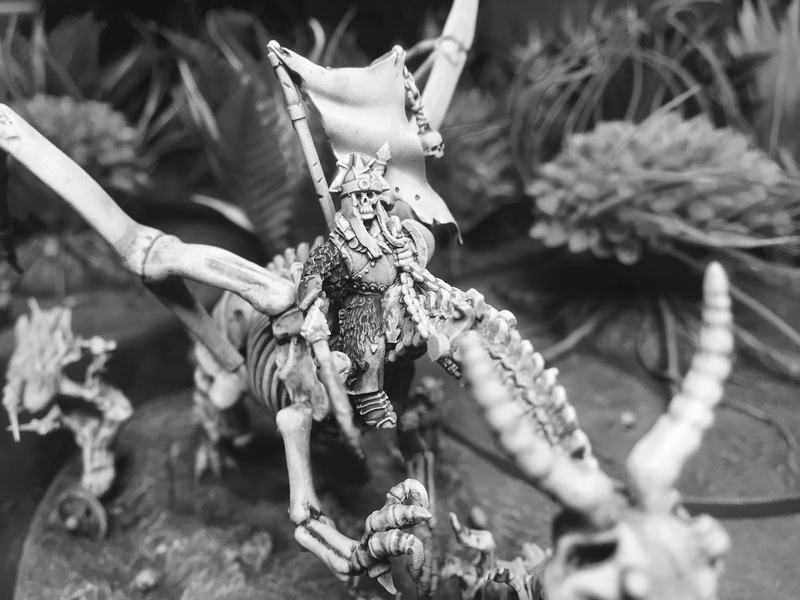 And of course, Arkhan is coming along swimmingly, as I’ve already mentioned elsewhere! Ha Ha! So you have given in to the joy that is a Primaris marine! Good! About time ;) I agree with you on the fluff though, that can be burried in an infested cess pit and rained on by Nurgle farts. Looking great! The purple and gold is very cool, very much ancient Rome.